Nearly two months ago, Alex Taub and Michael Schonfeld bid Dwolla farewell and set off to start their own company called Modern MAST. At the time, they said that the new venture would focus on developing products aimed at commerce, advertising tools, and APIs. 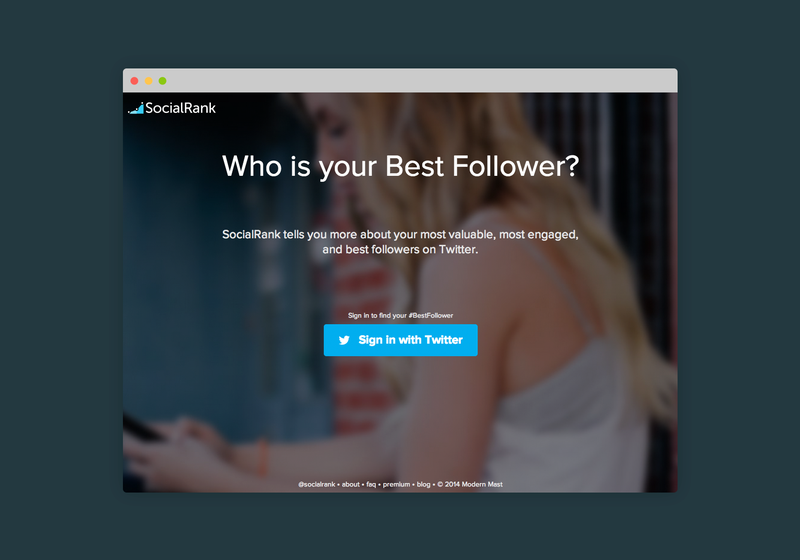 Their first product is launching today and it’s called SocialRank, a tool to help brands better understand who their followers are on Twitter. 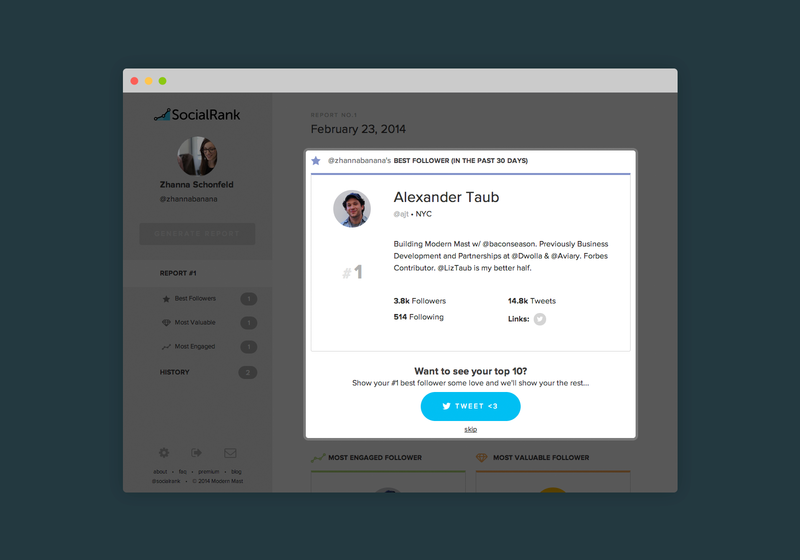 The idea behind SocialRank started long before Taub and Schonfeld joined Dwolla. Back then, they had developed a service called Most Valuable Follower (MVF) aimed at helping show which follower actually gives legitimate value to a brand’s social media presence, rather than simply propping up a broad follower-count. At least 50,000 people wound up using this tool before it was shelved in favor of their careers at Dwolla. SocialRank is the evolution of MVF and is looking to help brands and influencers understand three key metrics: most valuable, most engaged, and their best follower. In order to determine someone’s MVF, the service looks at whether a follower is verified, their total follower count, their follower/following ratio, and determined value. 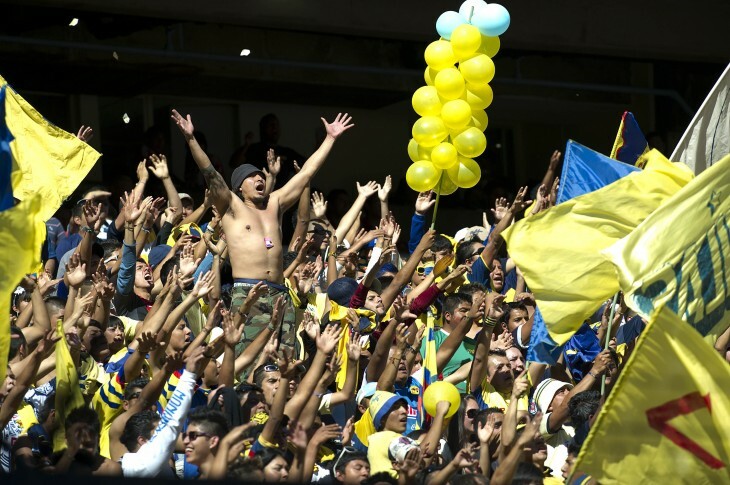 In its previous form, MVF was a whole tool, but now it’s most like a data point. The Most Engaged Follower is the person who interacts with you the most, based on retweets, mentions, favorites, and doesn’t matter how many followers that user has. Just following someone doesn’t make you engaged — the MEF looks at users who are “socializing” with the brand’s Twitter account. Sounds an awful lot like what one would get with Klout, huh? Well there are some differences — specifically that SocialRank doesn’t assign a score to a brand or their followers. It also only looks at data from Twitter, at least for now, but Taub says that Vine, YouTube, LinkedIn, Pinterest, and Facebook could easily be supported. On the other hand, Klout has evolved to focus less on a “score” and instead be a content creation and promotion service. The company is also focusing on building out features to allow brands to “reward” their most valuable, engaged, and best followers as a sign of appreciation. This is slightly contradictory to Klout’s Perk system since it focuses on topics an individual is influential in. 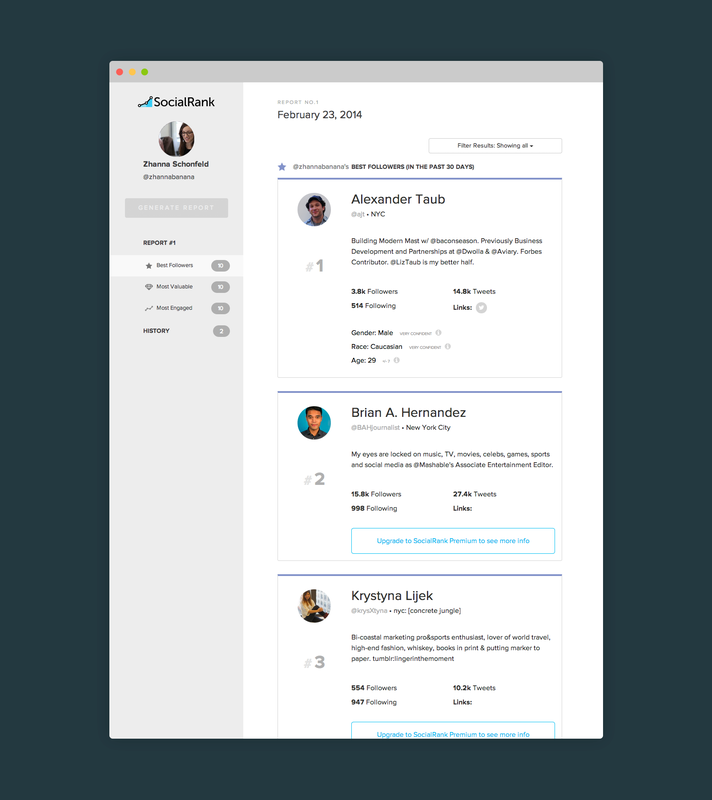 SocialRank is free for nonprofits to use, but costs $25 per month or $250 annually to be able to export daily and weekly reports. With the paid option, brands can breakdown their followers by demographic, geographic, and all the social media accounts that are attached to the individual. However, Modern MAST cautions that since it’s in the early stages of testing, the accuracy may not be on par — it’s inferring a lot through technology, but its algorithm will improve over time. In addition, SocialRank enables you to filter between individuals and brands within each section (MVF, MEF, and best follower). This permits you to see your top 10 brands and top 10 individuals in each category. In the future, deeper filtering will be added. The company tells us that many brands are using its service, including GoPro, Plated, Cory Vines, and others.